Silence heard all around the room. Anxiety-ridden women kneeling on the floor, holding what feels like their life in their hands. A golden envelope. Feels so heavy, but yet is so light. In it contains the answer they’ve been waiting two weeks to hear. Tearing of envelopes & cries of joys are heard and seen all throughout the room, for these women have just learned where their new home away from home is. Where they’ll share nights eating popcorn on the couch watching Netflix with their sisters at 2 A.M.; where they can go when they’re hurting. It’s Bid Day. One of the best days ever. September 9th, 2018 was the day my life had changed for the better. I had gone through primary recruitment at my school to find my second family, and the day had come where I would find out who my best friends would be. There’s NO better feeling then running home and being encapsulated in a hug by your sisters. You feel so loved. So special. Plain amazing. The first time I stepped into my home, I knew it was just that. Home. I got the goosebumps and chills… A weight was lifted off my chest. 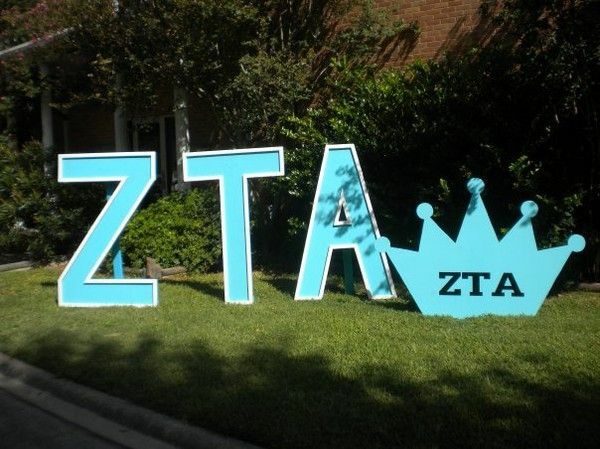 I’m proud to say ZTA is not only where I found my friends but where I found my second family. I cherish my position within this household, and being a Zeta Tau Alpha is something I’ll always hold close to my heart. Confetti, & glitter. What more could a girl want? My name is Laney Miller, and I love all things girly! I'm a workout enthusiast, enjoy spending time with family & friends, & love to sing!